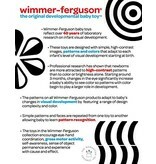 From Manhattan Toy’s award winning Wimmer-Ferguson infant collection - the original innovator of black and white developmental toys. 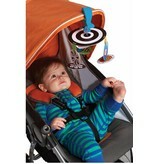 Attaches to most strollers, infant carriers, and car seats with the sturdy plastic clamp. 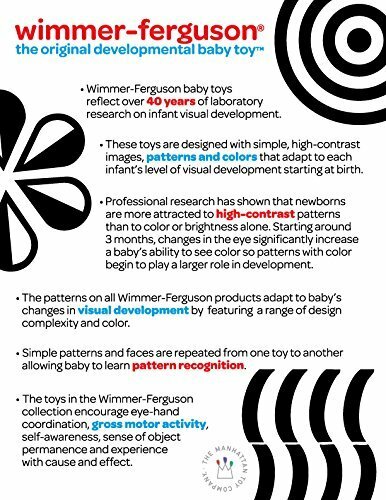 Introduces baby to high contrast, black and white and color graphics for early visual and multi-sensory development. 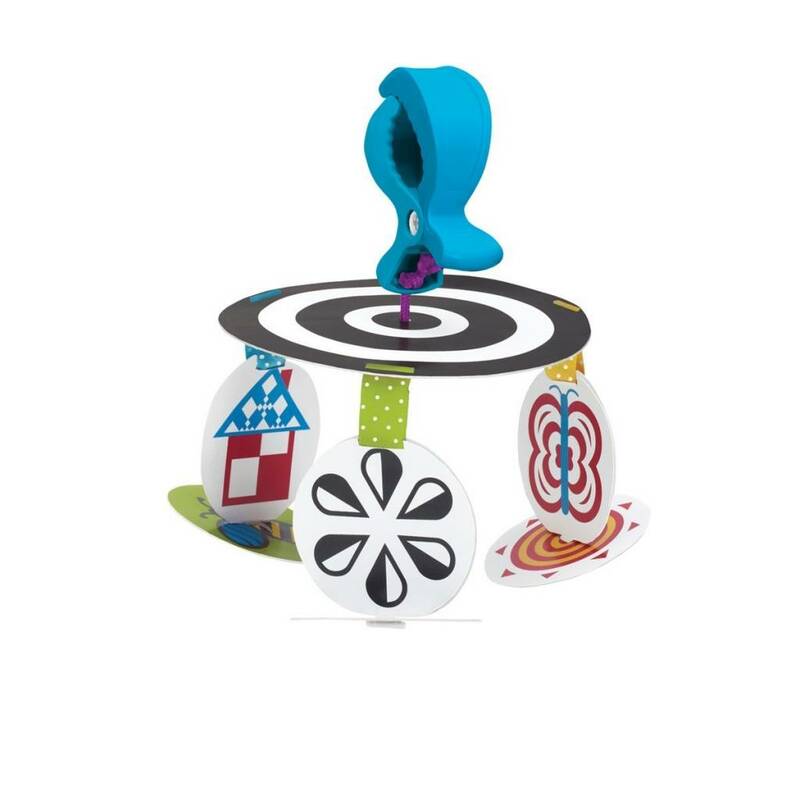 3 reversible cards display black and white graphics on one side, color images on the other, to be flipped based once baby is acclimated. 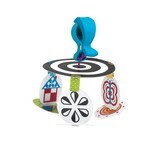 Recommended for ages 0-5 months, top card measures 7" round, a lightweight, easy to pack activity travel toy for babies. We've had this mobile since Christmas and my 10 month old loves it! Before he could reach and grab, it mesmerized him. Now, he reaches for it and often pulls the lower hanging cards off. They are very easy to reattach and wipe clean if need be, so I don't mind if they end up in his mouth. The large clip fits perfectly around the handle of the car seat, but also makes it easy to take the mobile anywhere we go. 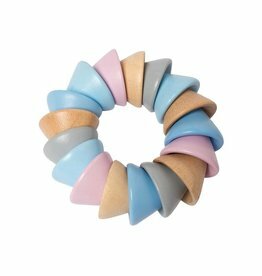 I feel that this will quickly become a new go to gift for new mom friends. 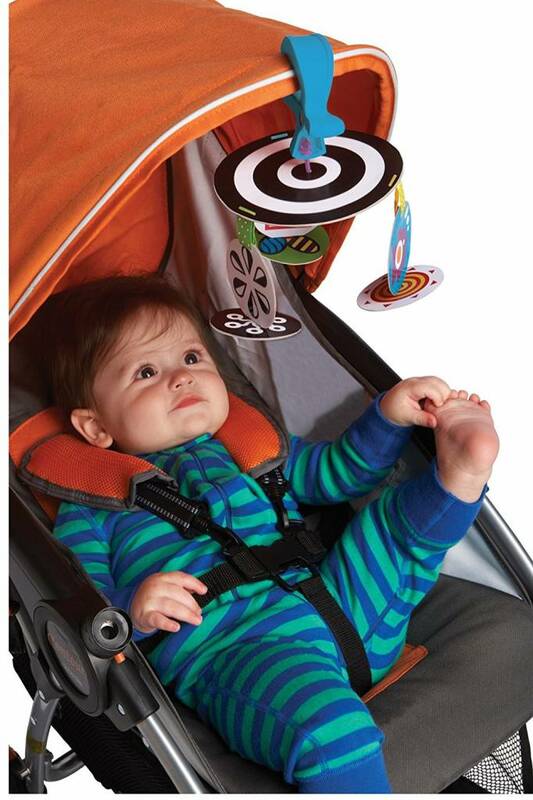 100% silicone carseat/stroller toy that's 100% baby approved. 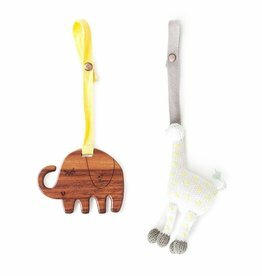 This perfect on-the-go toy set offers a soft wool rattle and wooden teether that can be clipped on to a stroller, carseat or attached to a play gym.